The 2017 2oz Lunar II Rooster Silver coin is a huge hit with collectors all over the world. 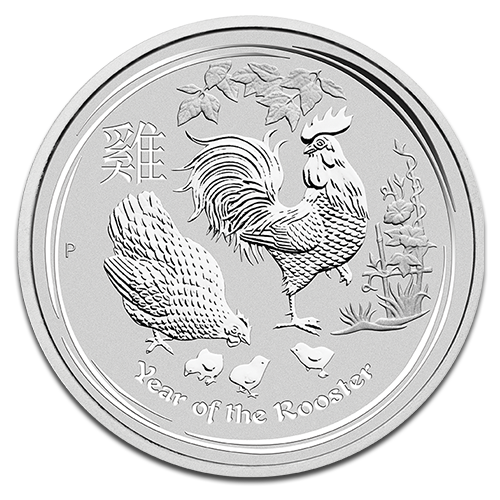 Each coin contains 2 full ounces of the finest .9999 pure silver and features a rooster with its hen and chicks standing on grass. This beautiful coin celebrates the Chinese Lunar Calendar and is a smart investment due to its unique design.